Muffin today is no surprise. Recipes - hundreds! What they just do not, but most of the dough for muffin - it is customary for the biscuit dough (or cake, someone like that anymore). I suggest you try the "other" muffins. Fragrant, with blueberry sour and nuts, and even the smell of oatmeal cookies (as in childhood, remember him?) - The best oatmeal muffins! Briefly touch on some of the ingredients. I used applesauce (no sugar) ... instead of oil. Let me tell you a secret - with him in the texture of the muffins moist measure. Thus, the extra fat you can virtually add (and sugar, too, except that a little bit). Also, instead of regular milk, I encourage you to experiment with almond: This will give an interesting nutty flavor. 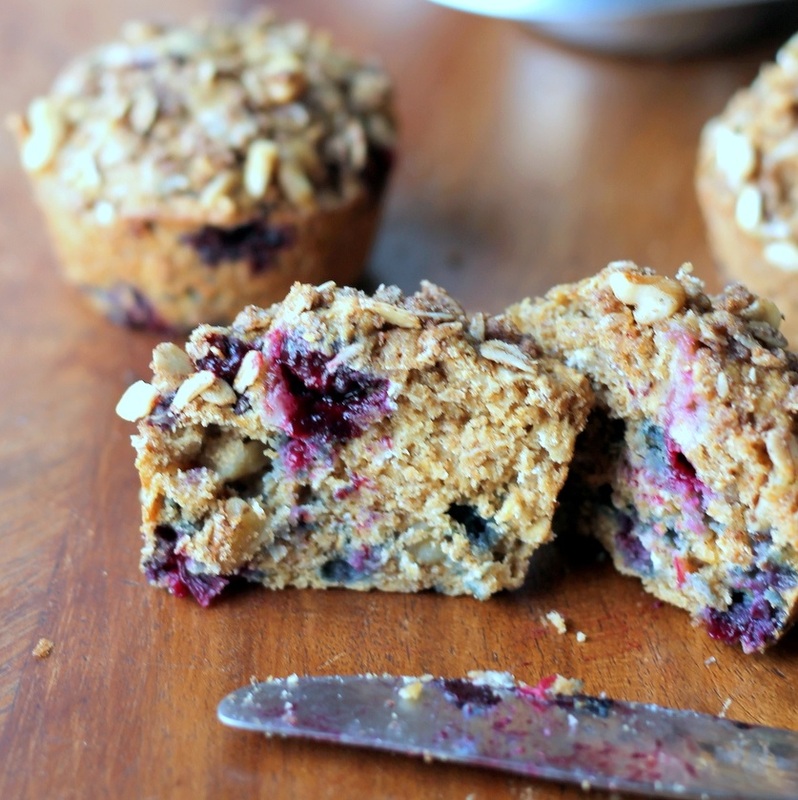 In addition to "enrich" oat muffins beneficial fats (no calories). Oatmeal also rich in fiber, vegetable protein, many minerals and trace elements. Why not a worthy alternative to the usual morning porridge? Mix in a large bowl of dry ingredients dough: Flour, oatmeal, baking powder, baking soda, cinnamon and salt. Slightly beat egg in a separate bowl. Add applesauce, butter, sugar, vanilla extract and milk. Stir, and then connect the wet and the dry mixture. Strongly do not zealous, the dough may seem too thick, everything is normal! Gently stir in the blueberries into the batter (can be frozen) and chopped walnuts. For the topping (dusting) connect flakes, cinnamon and nuts also. Arrange muffins on formochkam (can be embedded in paper bakeware "basket" - will be even more interesting :) top sprinkle with a mixture of flakes, cinnamon and nuts (in 1 teaspoon per muffin). Bake Oatmeal Muffins 20-30 minutes until golden brown (check skewer)! 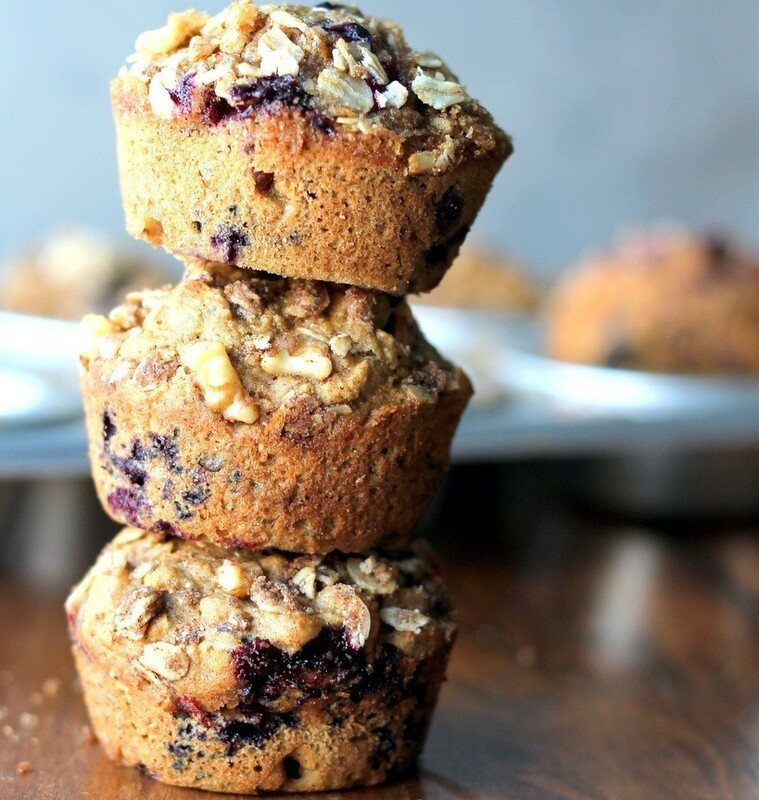 You hear that smell :) Useful oat muffins with blueberries and nuts ready - enjoy! Other interesting ideas for healthy breakfast get inspired here.